Fuji X-A5 is Fujifilm’s entry level camera that may be a good and cheap option for people who want to get into photography. 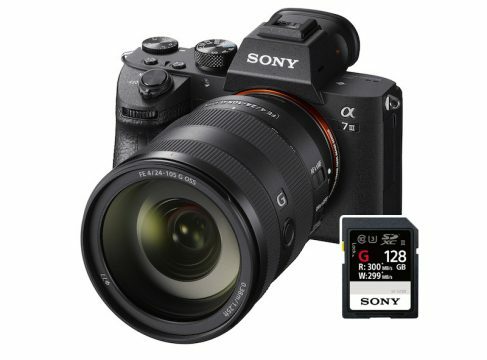 It’s small and doesn’t have a viewfinder, but it does feature a solid 24MP APS-C sensor (although it has Bayer color filter, not Fuji’s own X-Trans array found in the company’s more expensive cameras). While the camera shoots video, it is mostly aimed at photographers. With that said, let’s take a look at some of the best SD cards for Fuji X-A5. 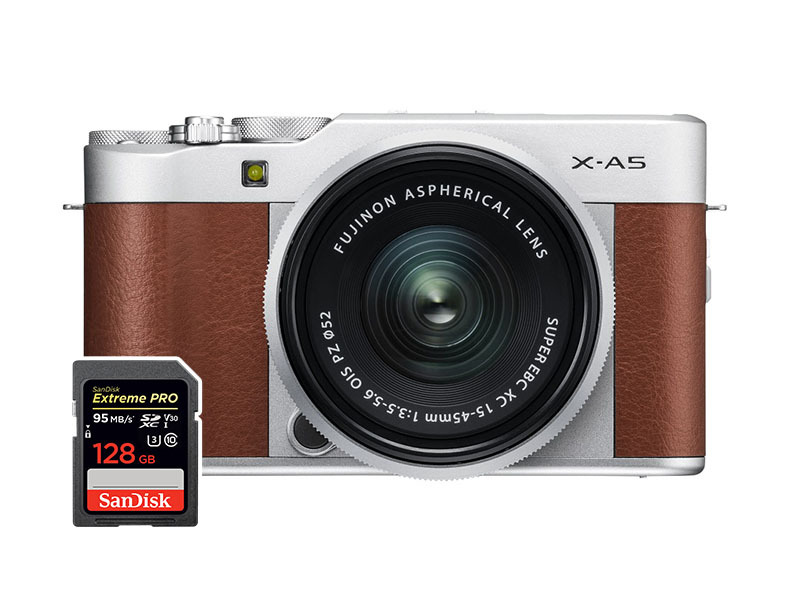 Since the X-A5 is aimed at amateurs, it doesn’t come as a surprise that it features just one SD card slot and that the support for UHS-II is lacking. 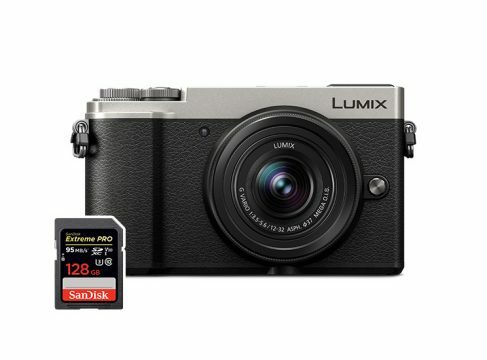 Usually we suggest buyers of mid-range cameras to go with faster UHS-II cards if they have some spare cash in case they end up upgrading to a better camera soon, but since X-A5 is a beginner’s camera there’s a very small chance you’ll be exchanging it for a top-of-the-line mirrorless camera anytime soon. This is why we included only a list of UHS-I memory cards in this article. Although Fuji markets this camera as being able to shoot 4K video, it can only do so for 5 minutes and even then it only records at 15 fps and basically any SD card on the market today can handle it. If you’re into video, than this camera is definitely not the best option for you. 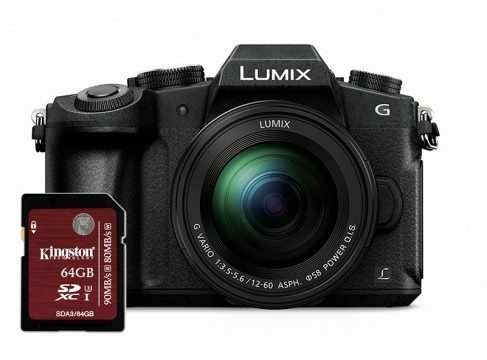 If you are trying to step up from smartphone photography, then this camera is a pretty solid choice and hopefully this article helped you choose which SD memory card to pair with your Fuji X-A5.